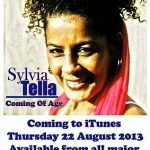 SYLVIA TELLA enjoys one of the most variegated CVs of all British reggae performers; Sylvia forged a local reputation in her native Manchester as a child star who won several talent competitions before being signed, aged 15, by Frank Farian - ace hit producer of Boney M and others. The dissolution of Boney M also led to Sylvia returning to England from Germany where she formed an association with Lloyd Charmers and their collaboration led to her best-selling debut album, Spell, in 1981. 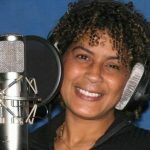 Although her solo star continued rising throughout the 1980s, Sylvia became an enthusiastic collaborator, she provided background vocals for Alton Ellis’ acclaimed 1983 album, Daydreaming, and achieved a couple of moderate sized hits on the UK pop charts with the Blow Monkeys in the late 1980s. 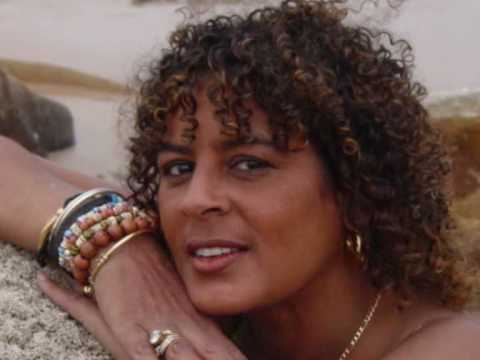 She also contributed her vocals to the Windjamer collective which recorded a charity single on behalf of the victims of Hurricane Gilbert which struck Jamaica in 1988. During the 1990s Sylvia formed an association with members of the band Steel Pulse following a live performance in New York during 1996. She returned to New York repeatedly during the late 1990s as the city appeared to encourage her creativity as she became extraordinarily prolific. As well as an acclaimed performance alongside Sugar Minott at SOB's, for his 1999 birthday celebration, she also recorded with renowned Fugee collaborators, Renel and Jerry and even teamed up with violinist Tamara for a rendition of Bob Marley’s ‘Turn Your Lights Down Low’. 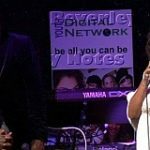 Eventually, the fruits of her musical compatibility with Pulse member Sydney Mills led to him producing the recording of Sylvia’s second solo album, Tella It Like It Is, in 2000 alongside Barrington Bailey and Mafia and Fluxy. As well as her musical activities, Sylvia has also pledged her services to a Nigerian NGO, Vision In Aid Of Citizens Foundation in the capacity of Executive Secretary, in deference to her Nigerian / European heritage. 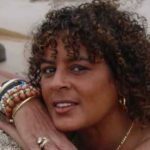 She remains one of Britain’s most popular homegrown reggae artistes and has maintained her local profile, as a result of her ongoing collaborations with the likes of Vivian Jones, Stingray Records, Mafia & Fluxy and a host of popular solo recordings.